…only to keep up with my daily blog post record! The power just started to blink a little, and if we lose it, we’ll lose our internet connection. It’s snowing and raining here on Little Cranberry Island, a heavy mix for the trees and the wind is picking up. At least the intermittent rain is keeping the snow level down. AND I have my own special aroma therapy for days like this. Great aromatherapy! Whatever gets you through the storm! So sorry you’re getting more snow. Hop a plane to Houston — it’s 76 and sunny. 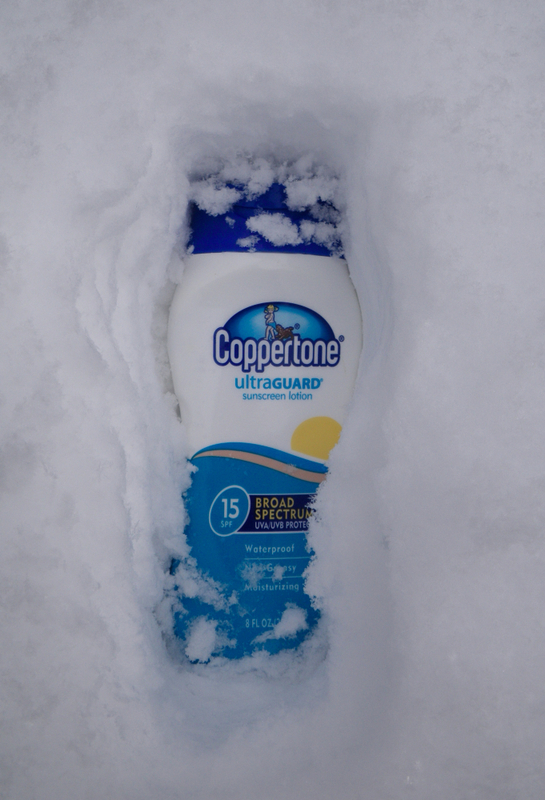 I wear Coppertone all winter just for the smell. Every time I smell it, my brain takes a quick trip to summer.